"When I updated my iPhone to iOS 10.3.1, it started disconnecting with the Wi-Fi signal randomly. I've tried pretty much everything to fix it. I restarted my router and that didn't work. Other devices that aren't Apple don't have this problem in my house." iOS 10.3 update brings tons of new features as well as some unexpected bugs. One of the most frustrating bugs is iPhone WiFi connection problems. If you have installed iOS 10.3.1/10.3.2 on your device and find Wi-Fi malfunctions, try below methods to fix WiFi not working on iPhone X/8/7/7 Plus/SE/6s/6/5/4. Below are the most common iPhone WiFi problem solutions for your information. You are free to pick one or more as long as it works. 1). Check whether your iPhone/iPad is under the range of router. Turn off your router or modem when necessary and turn on it later. 2). Enable Airplane Mode. Simply swipe up from the bottom of the screen to bring up the control center and tap the little plane icon. Exit Airplane Mode later to automatically search available Wi-Fi network. 3). Force restart iOS device by pressing and holding the Sleep/Wake button and Home button on iPhone 6s under and all iPad for more than 10 seconds untile the Apple logo shows. Replace the Home button with Volume Down button on iPhone 7 and iPhone 7 Plus. 4). Forget Wi-Fi network and reconnect. Go to Settings > Wi-Fi > Forget this Network. You will be asked to enter a password when rejoining the WiFi. 5). Reset Network Settings. Head for Settings > General > Reset > Rest Network Settings. 6). Disable Wi-Fi Networking location services on Settings > Privacy > Location Services > System Services. 7). Set DNS as Google DNS or Open DNS: Settings > Wi-Fi and tap the network you are using. Delete original DNS numbers and enter 8.8.8.8 or 8.8.4.4. 8). Upgrade to iOS 11 or downgrade to iOS 10.3.1 under to fix iPhone won't connect to WiFi network. 9). Reset your device as new. To do this, switch to Settings > General > Reset > Erase All Content and Settings. 10). If none of tips can solve WiFi won't work on iPhone/iPad after iOS 10.3.1/10.3.2 update, you should consider to take it to Apple Store checking whether there is something wrong with the hardware like Wi-Fi module. Instead of spending much time in trying methods one by one and wondering what's wrong with your iPhone, there is a much easier and more efficient way to resolve WiFi not working after iOS 10.3/iOS 11 update with a freeware Tenorshare ReiBoot. 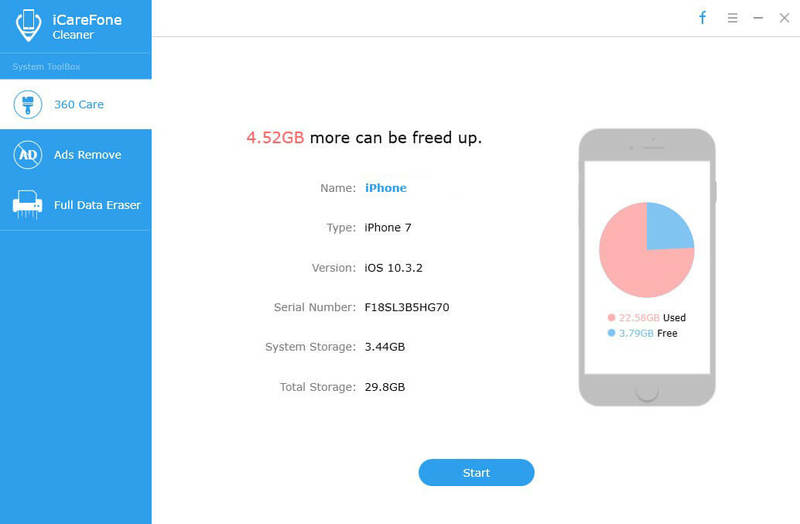 It enables users to fix all iOS related issues within a few steps. After that, your device will boot up to normal condition. 1. Install Free Tenorshare ReiBoot on your PC/Mac and connect iDevice with it. Put your device into and out of Recovery Mode for a quick try to repair iPhone WiFi problems. 2. If that doesn't work, you are good to click Fix All iOS Stuck to repair iPhone operating system. 3. By default Tenorshare ReiBoot will provide the newest iOS firmware package as alternative of the corrupted system on your device. Click Download to proceed. 4. 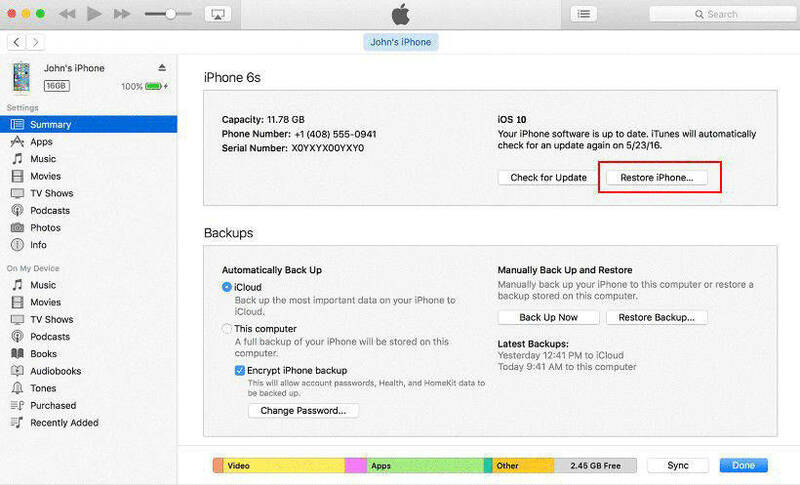 As the soon as the downloading process done, it will automatically start to repair iPhone/iPad. Within a few minutes, you will have iPhone WiFi not working for iOS 10.3 issue solved without any data losing. Let us know whether the problem that iPhone/iPad won't connect to a Wi-Fi network after iOS 10.3/iOS 11 has been fixed with above methods in the comments below.